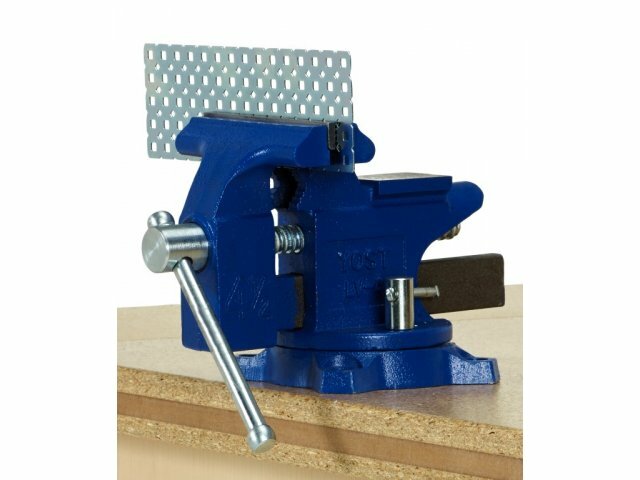 This sturdy vise has a swivel base which is ideal for the VEX Robotics Workbench. 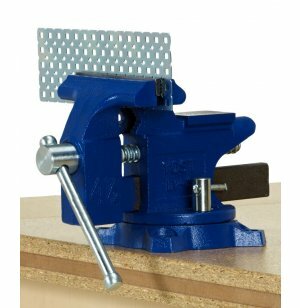 It is manufactured from cast iron featuring steel vise jaws, threaded spindle assembly and a chrome lockdown. The vise can be rotated up to 240-degrees on its base for work positioning.